The name derives from the Greek Akropolis, "city built on the top" and was one of Magna Graecia colony. 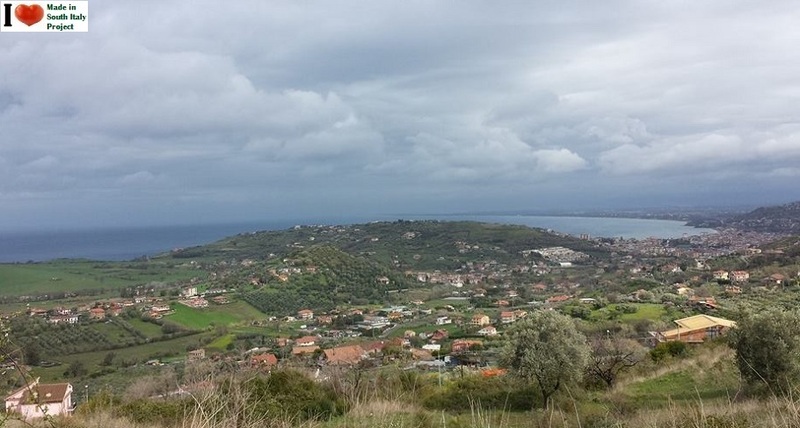 The seaside village was once known as Ercula , according to legend, to honor Hercules . At the end of the IV century it passed in the hands of the Byzantine and its churches are a piece of evidence of their rule. 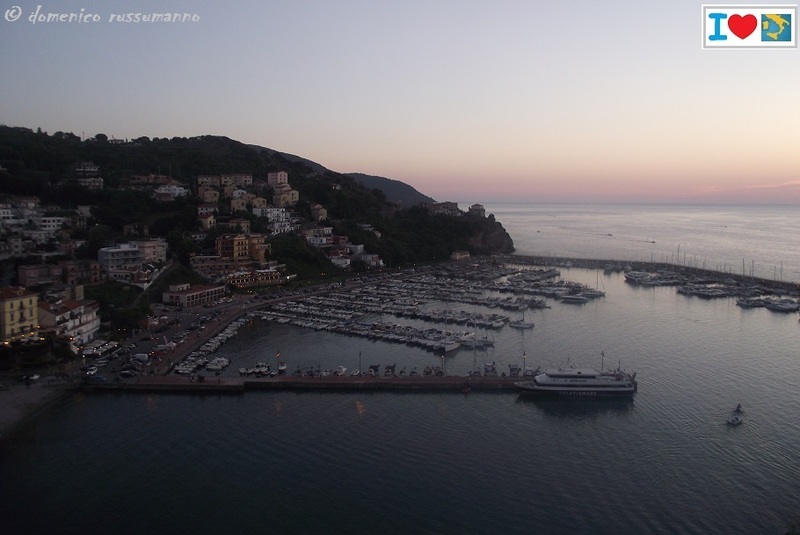 Agropoli has also a large tourist port, connected by ferries to Capri, Ischia, Salerno and Naples. 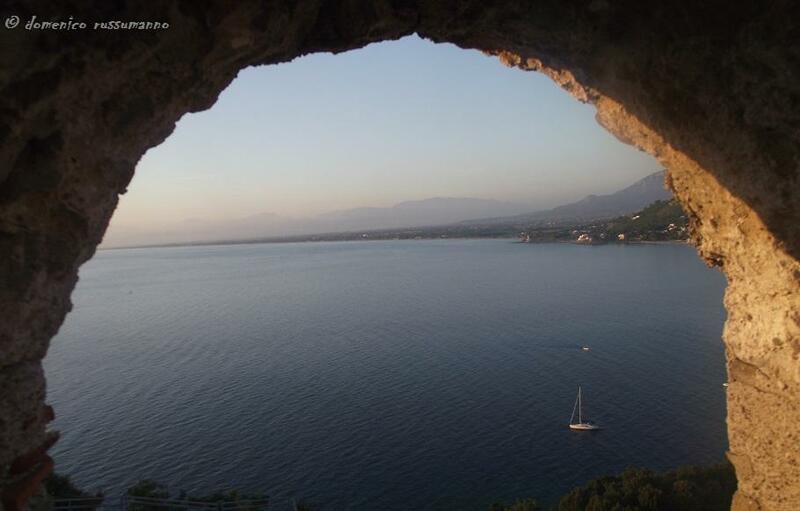 The harbor, the largest in Cilento, is a reference point for sailing toward other destinations. 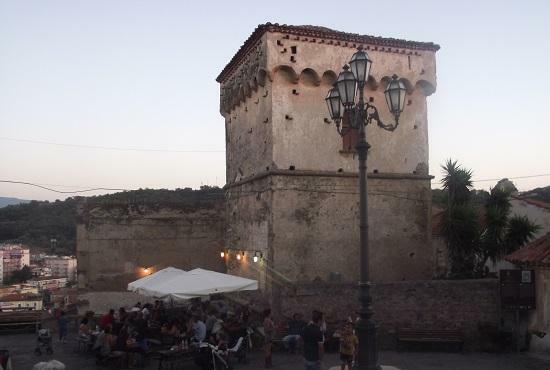 During the Norman times its castle became a stronghold against Saracens attacks. 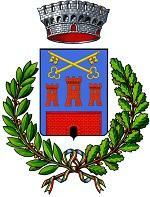 In the 1600's it became part of the properties belonging to the DelliMonti Sanfelice family until 1806. Following a brief period of French occupation, the castle was abandoned. It was finally purchased by the city and what we are able to see today is the work of many renovations. Currently, part of the interiors are open to the public, while other areas are still waiting to be renovated. The castle can be reached on foot or by car. 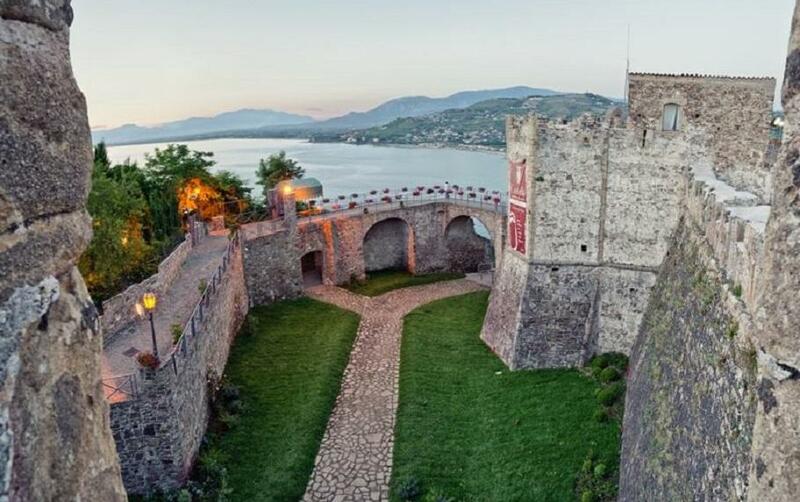 The historic centre of Agropoli is one of the most charming and evocative of the entire Cilento due mainly to the almost perfect preservation of the late-medieval urban layout as well as its charming panoramic position overlooking the sea. Easy to reach. 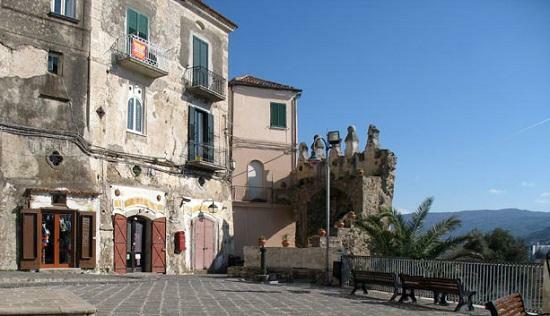 Once in town, just follow the signs pointing to the "historic centre" (Centro storico). 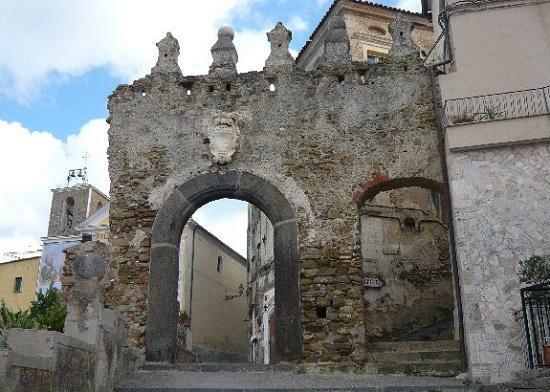 ...leading to the ancient portal, surmounted by the Sanfelice's family coat of arms. Passing through the door , you will find the scenic square of the Church of Santa Maria of Constantinople. The church, dating from the 16 century was recently restored. 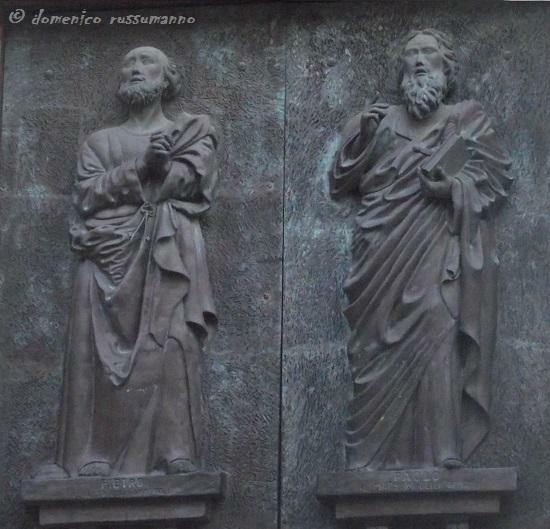 The second church dedicated to Saint Peter and Paul features a bronze door depicting the saints and houses several altars and paintings. 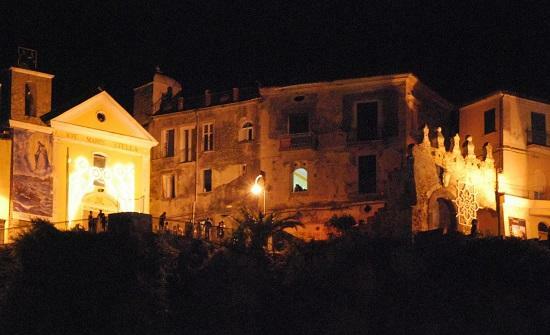 The historic centre is particularly charming and very attractive at night, illuminated by the soft yellow light of its street lamps. 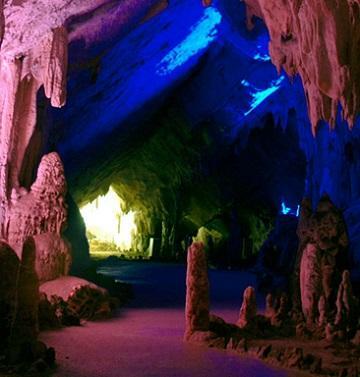 Best time to visit is during the low seasons, spring and autumn. 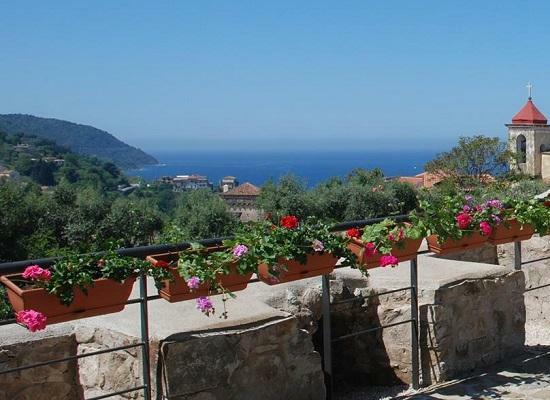 Sitting at the tables in the local square, overlooking the sea and the old houses and alleys, is the only way to absorb the village atmosphere of bygone days...and fall in love with this place all over again. 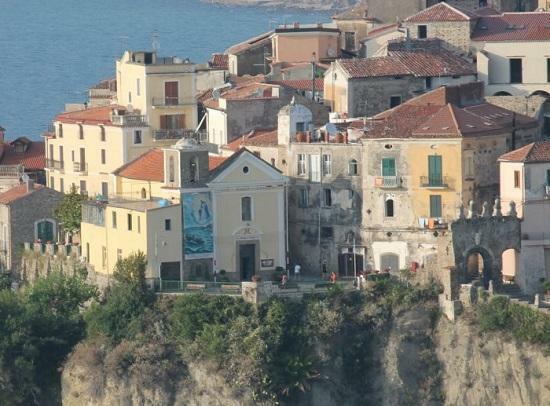 The old town of Agropoli is located in the province of Salerno (50km) and about 100km from Naples. Easy to reach by either car or train. 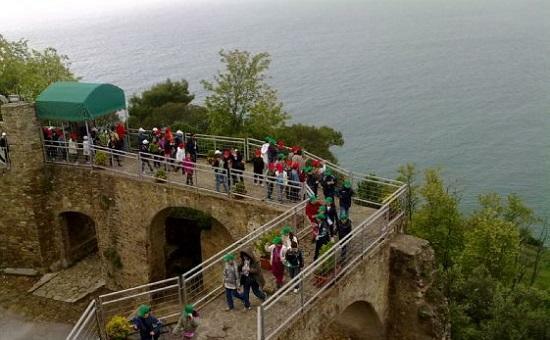 Capodichino airport links Agropoli railway station and it takes about 1 hour and 30 minutes to reach the small city. 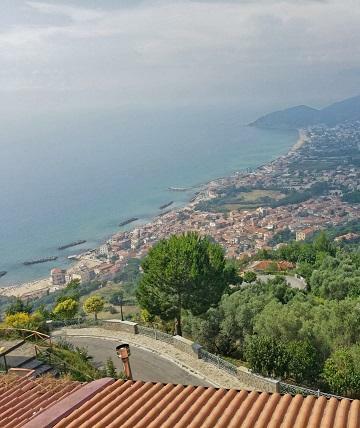 By car, you can find Agropoli 28 km after the Battipaglia exit, of the motorway A3 Salerno - Reggio di Calabria. 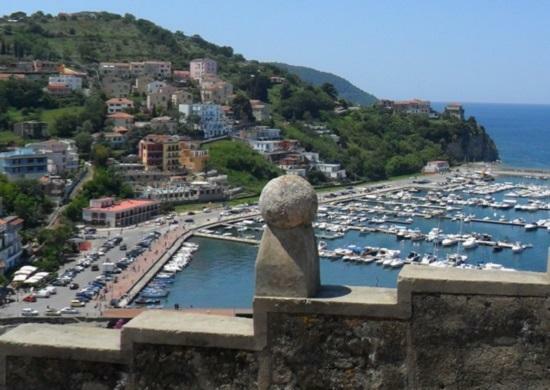 Agropoli is not only the natural gateway of Cilento and Vallo di Diano National Park, but it is also the ideal location from where to plan excursions to interesting locations near and far. 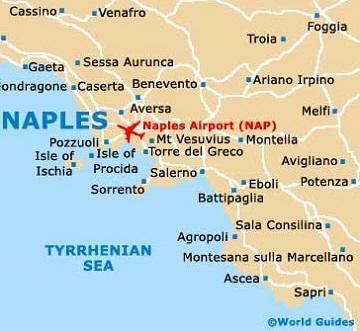 From medieval villages in the hinterlands to the majestic Greek ruins of nearby Paestum or those of Pompei... or on to the Costa Amalfitana or the exotic islands of Capri and Sorrento , the Royal Palace in Caserta ​or Naples. Tailored to fit your stay. 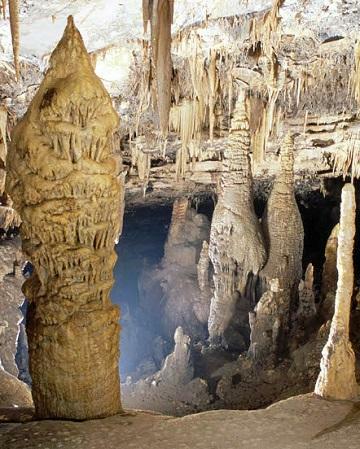 Grotte Castelcivita : A fairytale world -One of the largest underground system in Southern Italy also known in the past as " Devil's cave" - "Spartacus Cave" - and "Prince of Piedmont Cave". 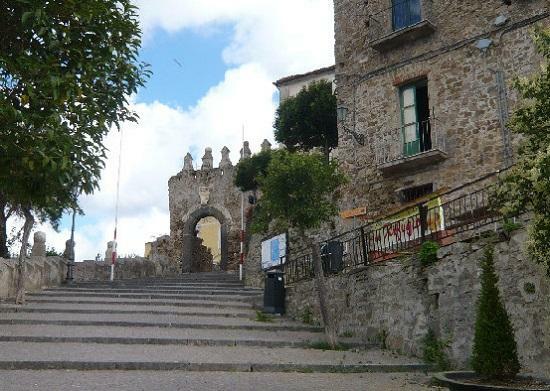 Castellabate : "Castellum Domni Abbatis" - The town is an historical and architectural gem, rich in medieval architecture, nestled in a panoramic position 300 metres above sea level. 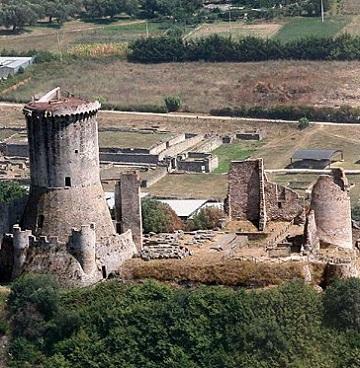 Velia , known in ancient times as Elea, was founded around 540 BC. by the Phocaeans, from Asia Minor. 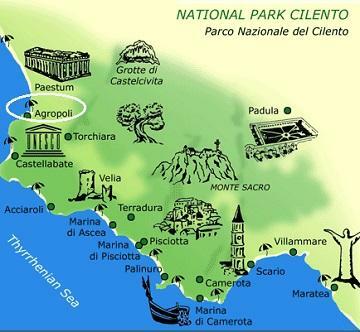 While not impressing the visitor with the spectacular images of the nearby majestic temples of Paestum, the ruins make possible to understand a fundamental historic moment of the whole Magna Graecia. Paestum: The splendour of Magna Graecia : Nowdays the archeological site is home to three of the best preserved temples of Magna Graecia ( Hera-Apollo and Athenia). 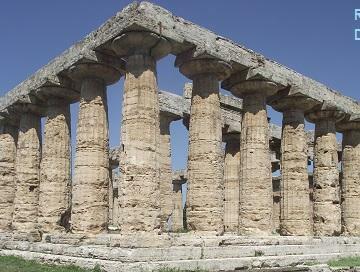 Paestum's Archaeological Museum is almost an obligatory stop. 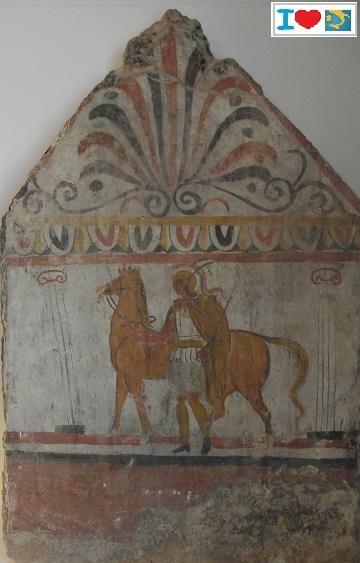 It houses beautifully preserved work of art discovered during the various excavation of Paestum. 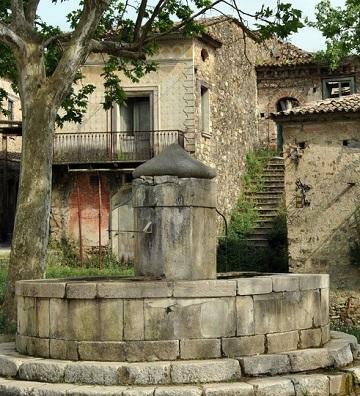 Roscigno Vecchia : The abandoned village is one of an all encompassing charm. 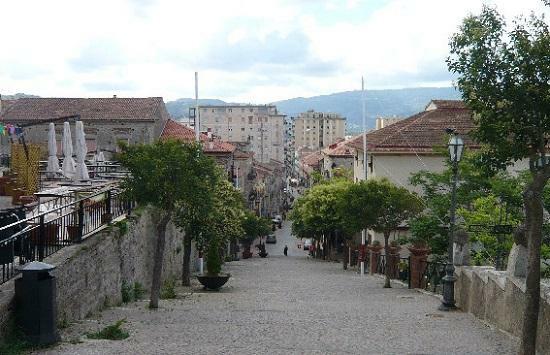 The town square with its 18th century church of San Nicola, the beautiful stone fountain...and the only resident...picturesque Giuseppe Spagnuolo, who has chosen to live his solitary existence among the past. Giuseppe, always helpful and courteous, lives in two house, one for winter and one for summer, says jokingly . 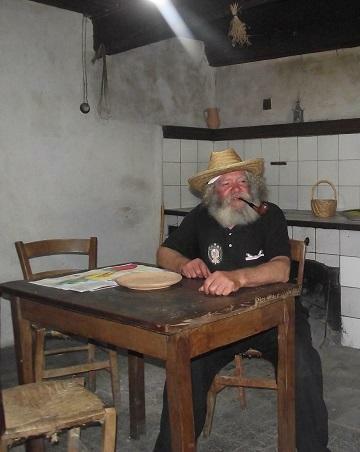 He works as a farmer, custodian, museum curator, entertainer, guide...or simply...as a spectator. 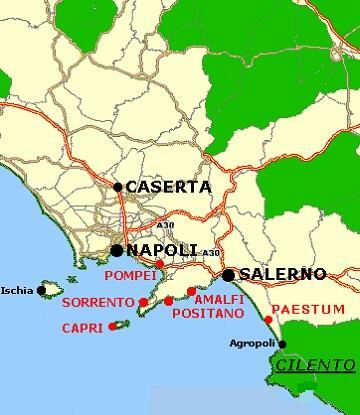 Capo Palinuro - Where the myth begins. 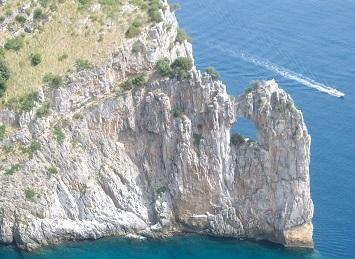 The Hotel Mare has been a family operated business for over 40 years. 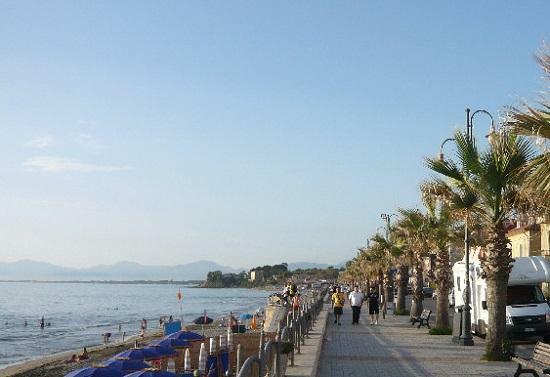 It is one of the few structures directly located on the beach. It features 41 rooms, parking, swimming pool, a very cordial and easy going professional crew, cleanliness ...and free internet connection. 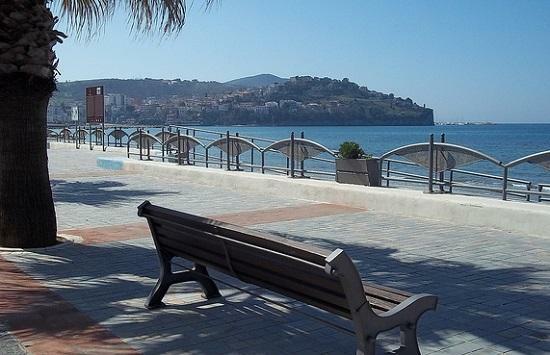 Its central location allows for late evening passeggiate or a visit to the historic Centre. 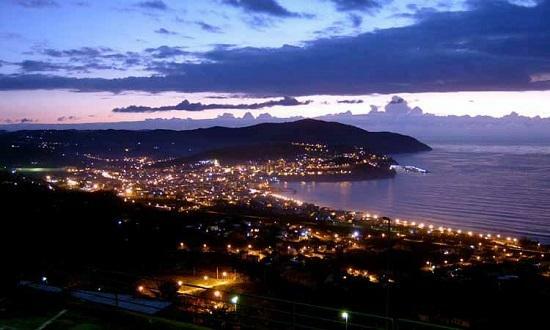 Not a luxury hotel, but the very reasonable price, the location and family atmosphere , the superb food and attention to details , make the hotel an interesting place to spend a relaxing holiday. Reservation is strongly suggested . (Ask for a room facing the sea). Please book directly - Be a responsible traveler. 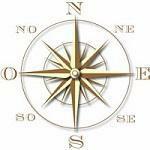 Many hotels can provide its guests with updated and more reliable information about local tourist guide and tours. Please ask.